I Missed National Popcorn Day…Only By a Few Days. Doesn't it just make you want some? 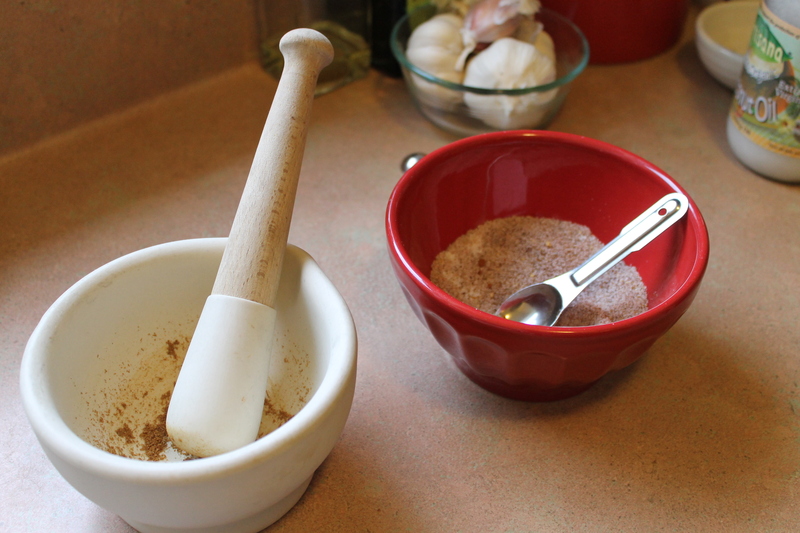 I can't emphasize enough how much difference there is when you toast and grind your spices as you use them. It's incredible! except for The Husband’s, of course. I didn’t have all the spices that he uses, so I couldn’t make the exact recipe. If you’d like that one, you’ll have to buy Jeff Smedstad‘s cookbook! I bought one at the restaurant, and he was kind enough to sign it. He was a very humble chef, which was wonderful to experience in this day and age of celebrity chefs. Frying pan. I promise you, it's the best way to pop. It’s a frying pan. Yep, pop popcorn once in a frying pan (with a lid, of course) and you’ll never go back. I learned that trick from my friend Rebekah in Santa Barbara years ago, and it’s the best. 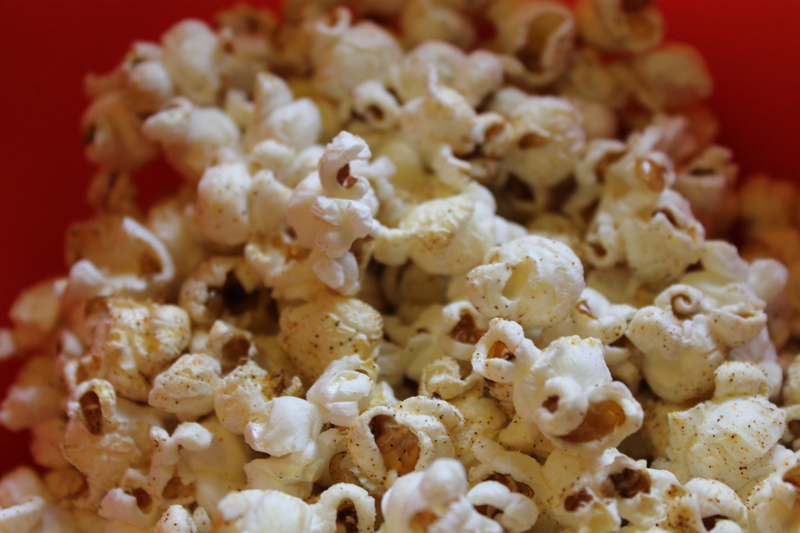 I’ve also started using coconut oil too, which just makes popcorn absolutely dreamy with no need for butter. And you don’t have to worry about the oil burning! 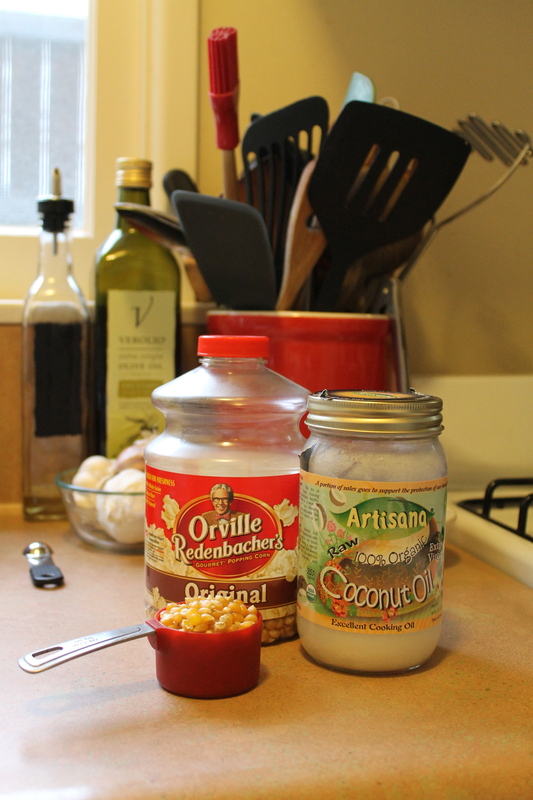 Coconut oil is perfect for high temperatures on the stove. So make your spice mix, get out the Orville’s and get popping. We watched Moneyball, but the movie choice is up to you. Combine the spices and stir well, making sure no clumps are left in the mixture. The Husband only likes Orville Redenbachers, and that's good enough for me. Get a large, heavy-bottomed frying pan and heat the coconut oil on high. Throw in three popcorn kernels and cover. I happen to have a frying pan with a clear lid, which makes things pretty easy all round—and quite fun as the corn starts to pop! I guess I’m still a little kid like that. Once all three kernels have popped, you’re ready to go with the rest. Open your frying pan’s lid and throw in the rest of the popcorn kernels; cover again quickly. Give the frying pan a shake, holding on to the lid if necessary. 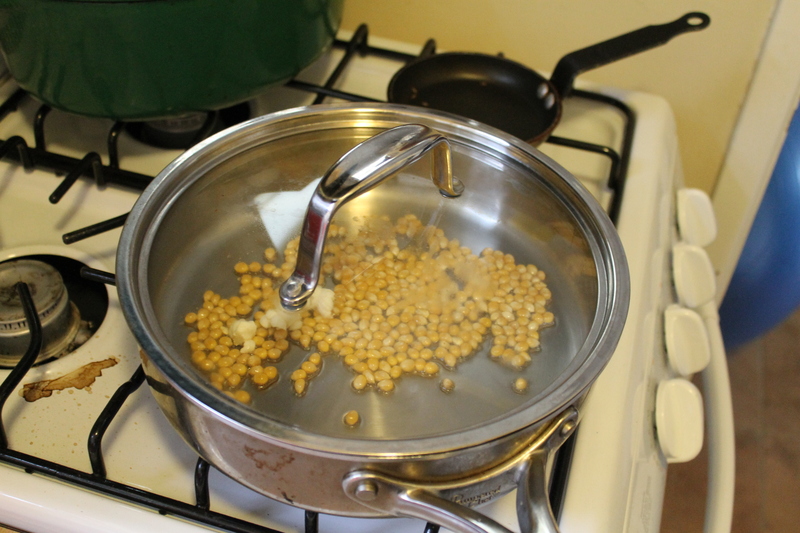 Nobody wants hot, flying corn kernels in the kitchen, trust me. As the corn gets popping, keep shaking the pan over the heat. Make sure you have your bowl at the ready as the popping noises come to a stop. Pour the popcorn into a bowl, and season with the spice mixture, above. Add slowly, mix it then taste—you can always add more, but you can’t take it out. The Husband thought it was too salty, so I probably added too much to the mix. I liked it though!